This article reads several unpublished poems written by Kenneth Burke as influenced by George Meredith's 1877 Essay on Comedy. It argues that critics have expected too much of Burke's comic criticism, as Meredith restricted comedy to a narrow social realm. Contrary to an understanding of Burke's poetry as "arhetorical," the poems reflect social awareness informed by Meredith. However, Burke's internalization of Meredith sometimes inclined Burke to the bitterness of satire. Although it may have originated as a stage art in ancient Greece, "comedy" in Burke is a specific mode of criticism. William H. Rueckert traces Burke's "comic criticism" from its late-1930s articulation in Attitudes Toward History through the last appendix to that book written in 1983. Pitted against the global tragedy of an impersonal, relentless drive toward high technology and the cult of empire, Burke, the word-man, offers "comic criticism." According to Rueckert, in comic criticism "symbolic verbal structures function as purgative-redemptive rituals of rebirth for those who enact them" (114). The critic accepts some, rejects others, and thereby adopts a properly socialized attitude, reborn in the light of social correction. Rueckert admits, however, the difficulty of the term "comic." The evils of technology and empire never go away. Comedy responds to the "tragic" situation as a corrective. What can comedy do in the face of such an intractable opponent? Is there an inevitable or fixed "comic stance" for the critic to adopt? Rueckert breaks down the answer into two components: comedy allows us, first, to adapt to external circumstances and, second, to "contemplate [our need for order] with neo-stoic resignation" (129). The "order" which oppresses us from the outside also drives us "internally." Recognition of this fact allows us, in a way, to forgive ourselves and others for the inevitable victimization inherent in order. It may even provoke laughter. Herbert W. Simons, for one, objects to the finality of the comic stance. Calling for "warrantable outrage," Simons insists, "Surely there must be thought and expression that proceeds beyond humble irony," a watchword for Burke's comic frame. Simons continues, assuming his audience must agree with him, "Yet there surely must be in some cases—not all—a stage beyond the sneer of primal outrage and the smile of comedy" (n.p.). This use of "must" raises the question. Why must there be something beyond comedy? Undoubtedly, Simons perceives the warrant for his own outrage, but in the process he obfuscates, rather than clarifies, the function of comedy. Simons regards some geopolitical tragedies as "beyond comedy": for instance, Adolf Hitler. But as we shall see, comedy was never intended to stretch its capacities to all of human existence. Another way of phrasing "beyond comedy" would be to acknowledge the limitations which make comedy possible. Building on the work of Simons, Gregory Desilet and Edward A. Appel do a better job of showing how what they call the "filter of comic framing" (351) can provide a "warrant" for outrage. One can justifiably oppose those actions which de-humanize others only after recognizing the universal tendency to de-humanize others: "Burke still sees Hitler as within natural (human) boundaries rather than absolutely 'other,' as horribly and censurably mistaken rather than essentially vicious and evil" (352). Comedy reduces all of us to fools, Hitler included, but it does not thereby imply moral equivalence or passivity in the face of injustice. The comic frame remains integral to Burke's stance as a critic and cannot be reduced to a simple formula such as "humble irony." The deep concern the comic frame draws from scholars suggests that it warrants further exploration. One fact, not heretofore stressed by scholars, is that Burke did not invent the comic frame but learned it in high school from the British poet-novelist George Meredith. In a damaged letter from the "Burke-3" archive at Penn State, written possibly on September 14, 1917, Burke wrote to his friend Malcolm Cowley, "as Meredith pointed out in that essay of his on comedy which was once my Bible for a week or two, a cultured nation must invariably find its expression in comedy." Burke refers to Meredith's An Essay on Comedy and the Uses of the Comic Spirit, originally an address delivered at the London Institution on February 1, 1877, and published in the New Quarterly magazine in April 1877. Burke evidently read and absorbed this essay in high school (from which he graduated in 1915). Unpublished poems, also in the archive, from late 1915 demonstrate Meredith's influence on Burke and present an early expression of Burke's comic stance over two decades prior to its formulation as a critical mode. By first examining Meredith's Essay on Comedy, followed by a close reading of Burke's 1915 poems, this study aims to reveal two aspects of a comic approach to criticism that have not yet been emphasized in the scholarship. First, comedy operates within a restricted domain under definite social conditions, the primary condition (in Meredith) being equality of the sexes; second, comedy originates in a social perspective. Burke's adoption of the comic stance internalized what Meredith calls the "comic spirit," and so Burke's version stresses self-criticism, but the solitary, romantic individual belongs to tragedy. These insights can help direct scholars' attention to better uses of the comic spirit in criticism. Meredith's essay shows explicit concern with the social conditions necessary for comedy, marked by anxiety over whether these have been achieved in England. Although Shakespeare shows characters "saturated with the comic spirit … creatures of the woods and wilds," Meredith's idea of the comic, as a social phenomenon, flourishes more precisely "in walled towns … grouped and toned to pursue a comic exhibition of the narrower world of society" (16–17). Here, Meredith's archetype of the comic poet is Molière at the royal court of Louis XIV in France. The essence of the comic spirit as exemplified by Molière is to bring a "calm curious eye" (21) to the study of manners within a closed civilization. Such a society and such a poet are rarely to be found in any time or place. The archetypal comic activity seems to be a witty exchange between men and women as equals, as they approach each other: "[W]hen [men and women] draw together in social life their minds grow liker" (24). Meredith acknowledges the comic precursors Menander and Aristophanes in Greece, but implies that while they may have inspired hearty laughter with shrewd intellectual perception, their comic potential was limited by the inequality between sexes in their societies. The possibility of comedy links directly to social conditions. Comedy illumines the social, but also takes its origins from an "assemblage of minds" (Meredith 76). Meredith expresses the interpersonal phenomenon of the comic spirit: "You may estimate your capacity for Comic perception by being able to detect the ridicule of them you love, without loving them less: and more by being able to see yourself somewhat ridiculous in dear eyes, and accepting the correction their image of you proposes" (72). To shy away from comic perception, according to Meredith, adopts an "anti-social position," of which Meredith significantly accuses the poet Lord Byron (76). A choice to enter society amounts to a choice to accept the world in comic tones. This promise of social advancement through laughter, through participation in the common mind, appealed greatly to the young Kenneth Burke, and quickly became for him an aesthetic ideal. Critics who wish to imitate Burke's model of self-chastisement should begin with Meredith as a starting point. A curious dialectic between the individual and society pervades Meredith's essay on comedy. At first, individuals are lost in the wilderness, until they can manage to get themselves into the walled towns. Once they have gotten themselves into something called "society," comedy becomes possible: "A society of cultivated men and women is required, wherein ideas are current and the perceptions quick, that [the comic poet] may be provided with matter and an audience" (2). Clearly, the France of Louis XIV was Meredith's model, a mixture not only of the two sexes, but of occupations and classes: "A simply bourgeois circle will not furnish it, for the middle class must have the brilliant, flippant, independent upper for a spur and a pattern" (18). The comic spirit allows us all to live in Versailles as a mirror of society (not humanity), but it still requires the individual comic genius of Molière for its illumination. The individual poet enters the social mise en scène at just the right moment to bring that "calm curious eye" to the study of manners. Following Meredith's digression through ancient Greek comedy, Molière's eye, or the eye of the comic poet writ large (a rare production indeed), vaporizes into an expression of the "general mind." A new individual, the auditor of Meredith's lecture, or its reader (including the young Kenneth Burke) appears at the end of the story as a beneficiary of comic chastisement, chosen to join the elect class of a spiritual Versailles. Individuals escape into the confines of "society." A comic poet observes and immortalizes their foibles. The synthesis of society-plus-poet (actual dramatic comedy) provides the image of an abstracted comic "society," giving birth to the "spiritual" aspect of comedy. Now free to move on the winds across time and place, the comic spirit showers an ennobling "silvery laughter" (84) upon any willing disciple. Individuals come to society, and, transformed by an individual poet, an abstract sociality now comes to bless the wild individual once again with the spirit of society. 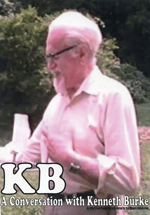 The teenaged Kenneth Burke was one such wild, individual disciple. As an ambitious young poet, Burke internalized Meredith's dialectic of the individual and society, and attempted to capture the voices of both egoist and chastising social irony into individual poems. By observing the transition from Meredith's theory of comedy into Burke's early poetry, we can see how Burke established an early foundation for his later, more explicit "comic criticism." Burke internalized the dialectic between individual and society at a very young age so that he was able to encompass, in a way, an internal check on his own egoism. The social origins of the comic theory, however, have been obscured. This has led critics to misinterpret the capabilities of comic criticism. If Burke tries to play both the comic poet (ala Molière) and the comic critic (ala Meredith), we must realize the social limitations that have made comedy possible in the first place. A great part of comic wisdom lies in this limitation. The comic poet or critic cannot, and should not, attempt to domesticate the entire tragic wilderness. Rather, the appropriate comic mode invites individuals into the "spiritualized" walled town of society, an invitation to a "higher civilization" as a relief from the general tragedy. Critics have long recognized the element of "comedy" in Burke's poetry. Gerard Previn Meyer, John Ciardi, and Marianne Moore used the terms "satire" and "wit" to describe Burke's first poetry collection, Book of Moments (1955), and W. C. Blum called it "high comedy" (366). By 1981, Timothy W. Crusius elaborated this association into a theory of Burke's "comic" poetry, using Burke's well known "comic" criticism. In Crusius's view, comedy in the poems bemoans the victimizing forces of social order and represents human weakness in the image of Burke's poetic persona. Melissa Girard summarizes the poems' rhetorical effect as "subvert[ing] ideology through a process of communication" (144). The communication ironically "disrupts" conventional stability of meanings, especially through the pun. A recent review of Burke's late poems by Gary Lenhart laments that "you don't discover much about [Burke's] thought through them" (23). A detailed look at Burke's earliest unpublished poems, written in 1915, challenges Lenhart's view. Read in the context of Burke's letters written to Malcolm Cowley at the time, and the influence of George Meredith, the poems very much illustrate Burke's process of thinking. When the poems of Burke's final period were published posthumously in 2005, David Blakesley argued that "much of [Burke's writing] which remains to be published … may change the character of the narratives we tell about his emergence and the evolution of his thought" (xxi). Since then, a cache of documents known as "Burke-3" at the Pennsylvania State University library has become available on microfilm. This archive includes roughly one hundred poems written through 1920, when Burke's literary criticism began to appear in publication. Examination of the earliest poems in this archive shows a definite influence by George Meredith, and demonstrates how Burke internalized the "comic attitude" by applying Meredith's socially oriented chastisement to Burke's more individualistic impulses. Not only does the archive help clarify the later development of comic criticism, but it changes the narrative regarding Burke's early poetic development. One major feature of this widely accepted narrative is that Burke as an "adolescent" was obsessed with aesthetic, romantic individualism, and only later (in the 1930s) adopted a "turn" towards rhetoric and social criticism. The poets generally thought to have been most influential on the young Burke are the French Symbolists. Selzer labels Burke's early poems as "personal and apolitical—far more aesthetic and Symbolist than the usual poetry of the Masses group" (77). Whereas artists associated with The Masses believed "art could be a lever for social change" (24), in Selzer's view—strongly indebted to Lewisohn (see Selzer 72)—the Symbolists seek only "to recreate … the speaker's inner condition … the inner consciousness of isolates" (74, 78). Removing a caricature of the isolated, adolescent Laforgue from his fixed position in scholarly opinion as the major influence on Burke's poetry restores the influence of George Meredith, and shows that Burke was always "socially-minded," from the earliest documents we possess. Of the shreds of evidence concerning Kenneth Burke's high school years, we have, first of all, reading lists. Austin Warren, writing in 1932 (according to Selzer 206 n. 1, approved by Burke), listed "Meredith's Diana … Ibsen, Strindberg, Pinero, Shaw, Schnitzler, Sudermann, Hauptmann. Then came the Russians," Chekhov and Dostoevsky (227). Malcolm Cowley, from personal reminiscence, added Kipling, Stevenson, Hardy, Gissing, Conrad, Wilde, Mencken and Nathan, Congreve, "Huneker, Somerset Maugham, Laforgue (after we learned French)," and Flaubert (Exile's 20–22). Cowley came to identify Burke, as an adolescent, with Laforgue. Writing in 1934, Cowley retroactively pictures Burke's "moonlit walks along Boulevard East … the crown of his days and moment when his adolescence flowered" (25), citing a letter from Burke written September 11, 1916, almost twenty years prior. At the end of these walks, around midnight, Cowley imagines, Burke would "question his face for new pimples, repeat a phrase from Laforgue and go to bed" (27). Thus began the legend linking Burke's poetic origins to Laforgue, an adolescent "phase" to be surmounted. Armin Paul Frank, drawing on Cowley, claims that in Burke's earliest poems "the young poet puts on the 'Armour of Jules Laforgue': romantic irony, sometimes anticlimactically tagged on to the end of a poem in the traditional way of Heinrich Heine, but also, more Laforguean, incorporated into the immediate context of the high sentiment" (121). According to Cowley, Burke himself termed this effect a "tangent ending" (And I Worked 79). Cowley illustrates its operation at the conclusion of T. S. Eliot's "The Love Song of J. Alfred Prufrock" and compares it to "a door that opened on a new landscape" (80) after the complete tour of a house. Selzer combines this "tangent ending" with the "double mood" theorized by Yvor Winters (Selzer 78–79). Winters quotes Laforgue's poem "Complainte du Printemps" as an example of "two distinct and more or less opposed types of feeling" which cancel each other (Winters 65–67). Also called "moods," these "types of feeling" alternate between "romantic nostalgia … with no discernible object," and "immature irony" (67). Winters attributes the origin of this trend to Byron, but takes Laforgue as the prototypical instance. Three decades before Frank, Winters clarifies the particular "double mood" he names "romantic irony": "the poet ridicules himself for a kind or degree of feeling which he can neither approve nor control … the act of confessing a state of moral insecurity" (70). Writing in the mid-1930s, Winters also links Joyce's Ulysses and Kenneth Burke's novel Towards a Better Life to this romantic irony. Ulysses is "adolescent as Laforgue is adolescent; it is ironic about feelings which are not worth the irony." Burke's novel, to Winters, offers "not even progression; we have merely a repetitious series of Laforguian [sic] antitheses" (72). The word "adolescent" dismisses the feeling (of unmotivated nostalgia) and the petty irony concerned with so worthless a matter. Burke himself perpetuated this trope in his first critical essay of 1921, "The Armour of Jules Laforgue." Burke implies that Laforgue, as a human being or personality ("life"), was a kind of belated innocent. As a writer, however (Burke speculates), Laforgue felt some responsibility to "apologize" for his platitudinous emotions (9). What Winters calls a "cynical" rejection of an emotion "not worth having" (74), Burke portrays as a "metaphysical interest," common among "the sexually immature" (9). Burke represents Laforgue's sexual immaturity as a failure of aggressive instincts "paralyzed by the passive attitude of receiving outward impressions" (9). Burke asserts his own aggression by naming a fear of sexual passivity and casts this fear, in the poetic persona of Jules Laforgue, into the oblivion of not only an historical past but a kind of biological past. To banish this fear as a surmounted "adolescence" would enable Burke's passage into maturity. Cowley, Frank, and Selzer have suggested Burke's early lyrics resemble Laforgue's, but Burke's criticism of the French poet could possibly, covertly, address a tendency in Burke's own earlier poetry projected onto Laforgue. Burke summarized in Laforgue's poetry a "tendency to incorporate various voices into a poem. Sometimes these voices are frankly labeled, like Echo, or Choir. At other times they simply exist as a tangent, a change in metre [sic] or stanza" (10). Laforgue's alternation of voices puts him "always one remove from his emotion" (9), but such "remove" does not cancel the emotion, nor is the emotion itself fruitless. Let us translate the "tangent ending" into terms of Meredithian comedy. For Meredith, individual pride is subject to the social gaze of the comic spirit. The comic gaze does not bludgeon romantic individualism, but gently, lovingly chastises it in the invitation to a "higher fellowship" of society. The apology or "tangent" arises from a socially conscious bashfulness for a feeling which, however satisfying to the individual, remains socially out of place. These feelings, as Burke's poems in the next section illustrate, include such "romantic" or "tragic" tropes as soaring exaltation, wearied cynicism, sighing, tears, pains, music, the divine, love, moons, roses, and other forms of "high sentiment." What Burke describes as Laforgue's "dilettantism" ("Armour" 9), concedes the poet's vulnerability to social irony. Moons and roses are played out. The poet, while "expressing" these romantic feelings, adopts a final irony or apology as a defense, by including it at the end of the poem. If Burke was and remains a belated romantic, he did and does contain his own critique of such romanticism, in a way consistent with his later "rhetorical" career. The "tangent ending" is an explicit social gesture or "pose," a smile at one's own expense like Meredith's ability "to see yourself somewhat ridiculous in dear eyes, and accept [. . .] the correction their image of you proposes" (72). Compared to Rimbaud, Arthur Symons calls Laforgue "eternally grown up, mature to the point of self-negation" (Symbolist 111). A sensitive reader detects immense suffering beneath the cool, ironic façade, but Laforgue "will not permit himself, at any moment, the luxury of dropping the mask: not at any moment" (109-10). Tropes of self-ridicule, therefore, designate a complex social awareness, quite the opposite of the romantic solipsism they display to the unironic. Winters suggests that Byron initiated this pose, and that "Laforgue is not in every case [of this modern attitude] an influence" (65). It expresses insecurity, perhaps, but expresses it in a self-conscious rhetorical gesture. Winters's critique of this feature in Marianne Moore's poetry even accuses her of "a tendency to a rhetoric more complex than her matter" (71) as a symptom. Claims linking Burke or his poetry to Laforgue should not be used to support the notion that either Burke or Laforgue, in person or poetry, was ever "arhetorical" or univocal. Whether he encountered Laforgue directly in high school or absorbed a similar influence along other channels, Burke's poems from the earliest period do evince a "double mood" as described by Winters. Burke can have implicitly criticized, in 1921, his own earlier poetry through the substitute of Laforgue without ever having read Laforgue during the earlier period. Burke may have been only able to diagnose Laforgue's "adolescence" because he had already worked through it in his own poetry. Much can be added to Selzer's account by examining Burke's English influences as well as the French. And be the wearied cynic of success. What proud Byronic sniveling songs I'd sing! But I would be less proud than I am now. Burke's "evil half" imposes bathetic, ironical images of himself as a "strutting calf, / Or a forty-year old virgin's tired cosmetic." Mocking both the youth trying to appear old, and the aged trying to appear young, Burke admits his pride. Without the "self-acquaintanceship" which is really a self-chastisement, he would obey his own appeals, purr to his own caresses: in other words, retreat cynically like his image of Byron. Meredith had written, "[Byron] had no strong comic sense, or he would not have taken an anti-social position, which is directly opposed to the comic" (76). The "laugh" here is Burke's irony aimed at himself. Laughing is pride, self-acquaintanceship, and Burke's complex rebellion against what he considers "Byronic," self-satisfying and anti-social poetry.3 The comic spirit in Meredith tends to subdue pride, but the young Burke obviously takes enormous pride in his comic irony. Aroint thee, wicked plague to sighing swains. A pox on thee, thou blotter to our tears. Leave us, and take with thee thy heartless jeers. Thou addest that we played it roaringly. And hear a voice ring out from high Parnassus. Thou tellest us, "Your ether is cheap wine. The voice you hear's the chanting of some asses. The use of "roaringly," as in the "Sonnet on Myself" quoted above, again shows Burke's contempt for loud profusions. His antagonism toward Byron in the previous poem expands to other "romantic" tropes: sighing, tears, pains, the divine Parnassus, and above all, the dignity of tragedy. Burke plays the cynic well before achieving success, as if defensively anticipating and warding off the possibility of failure. The idle, heartless snickerer of Burke's comedy (implied by antithesis to "tragedy") defensively misreads Meredith's "calm, curious eye." One explanation of the difference between Meredith's comedy and Burke's early poetry may be that Burke began with the final product (the comic Muse) of Meredith's dialectic which had passed through several stages: from the wilderness, to society, to comic poetry, to general chastisement by the comic spirit. By internalizing Meredith's abstract sociality without himself patiently observing the manners of a closed, narrow society (as had Molière), Burke remains, in a way, an individual in quest of society. Meredithian comedy can hardly be considered a "heartless" jeer, which implies the young Burke has not yet been properly softened by social irony. I want to build me a goddess once. on hillsides- and all that. I want to weep poetic rivers, too. So sick that I must moan in agonized sonnets. And I'll see to the moons and the roses. Ah, Fatal Sisters, grant me one really ethereal love. I want to have a Beatrice. I want to have a noble, ecstatic love. Perhaps I could sell it to some magazine. One of the most revealing lines of this poem, to name Burke's implicit antagonist, is "I want to weep poetic rivers, too." That "too" points a finger at all the anti-social poets, who purr at their own caresses, bow to their own blandishments, violently cloyed to the sighs and tears of divine Parnassus, a noble, tragic, ecstatic love entirely built of images from within, and sold to the nearest magazine. The impulse to sell sets the young Burke apart; a mark of his self-acquaintanceship, not self-praise, but a kind of jealous anti-self which attempts to negate the British romantic tradition. Burke uses Meredith's concept of "comedy" as a lever to fight this battle (against, say, "Byronism"), but Burke may fall into what Meredith calls "Satire": "If you detect the ridicule, and your kindliness is chilled by it, you are slipping into the grasp of Satire" (Meredith 73). One may have to seek encouragement in the precursor, Meredith, to better detect the kindliness of the comic spirit. As the labyrinth of a guilloche. They are prestidigitators to themselves. Nor do I fling myself to syncopations. It bids me seek my own. From somewhere cords are rising. Raggy things, they become tender. I am weeping at a fox trot. As in the "Sonnet on Myself," Burke accuses those who allow themselves susceptibility to music as self-deceivers. Refusing to passively accept the sentimental "trick" of music, Burke undermines his own "Russian pride" at the end of the poem. Music takes its revenge on Burke in a grotesque return. The verbs "tickled," "choke," and "fling," in the first stanza, manifest bodily the musical forms of the trill, dance of death, and syncopation—or so the music would intend. "My own" initiates what Harold Bloom calls the Crossing of Solipsism involving emptiness and fullness, height and depth, and the Freudian tropes of isolation and repression (Wallace Stevens 403). The pathetic weeping at the end is a surcharge of the sublime, the return of the repressed. The bathetic concluding line, "I am weeping at a fox trot," is fully aware of the earlier mood or attitude in the poetic persona's rejection of susceptibility to music. The bathetic weeper becomes a proto-Laforguean clown (even if Burke had not yet read Laforgue), Burke's "satirical presentation of himself, as he creates his most natural mask, his role of comic hero" (Crusius 23). The confrontation of moods or perspectives within the poem is the comic effect; Burke is the comic hero. So might I tempt my fancy. But I will not deceive myself so happily. The cluster which includes Comedy includes business. Byronic suffering, moons and roses, as well as religious yearning, the divine, and Parnassus, fall on the antithetical other side of Tragedy. So, in a painfully complex way, does music. The fox trot may be the only trope in the poems quoted above which approaches anything near to synthesizing or reconciling comedy and tragedy. Burke regards the fox trot as somehow banal, or bathetic, and yet it makes him weep. There may be a kind of weeping that is not tragic. A desire for this reconciliation comes through in these early poems, perhaps in spite of Burke's snickerer. Burke longs for the tranquility that Meredith promises from the comic spirit: "[T]he laughter directed by the Comic spirit is a harmless wine, conducing to sobriety in the degree that it enlivens. It enters you like fresh air into a study; as when one of the sudden contrasts of the comic idea floods the brain like reassuring daylight" (Meredith 88). The sense of unresolved tension, or even hostility, in the irony of Burke's early poetry indicates that he has not yet earned the increment of his influence by Meredith. It may be that he achieved it by the late 1930s, but that question is outside the scope of this analysis. Contemporary frustrations with the "comic frame" of criticism arise because they hope for too much. William H. Rueckert's treatment of comic criticism tends to elevate it into a grand, final stance against the threat of over-powering technology and order. Perhaps in spite of itself, it presents Burke as something of a tragic hero. Against this looming image of a total confrontation against a total menace, Herbert Simons and his followers insist upon "warrantable outrage" that is foreign to the comic spirit as originally posed by George Meredith. By returning to Meredith, we can see what the young Kenneth Burke blocked or ignored in his initial absorption of the comic idea. Writing about his ideal comic poet, Meredith claimed, "Molière followed the Horatian precept, to observe the manners of his age and give his characters the colour befitting them at the time" (14). Upon graduation from high school, Burke had not yet had time to observe the manners of his age. In his zeal, he took the entire comic process upon, and into, himself. Burke imposed a self-inflicted chastisement, as if anticipating later errors. As described above, critics (beginning with Malcolm Cowley) have taken Burke's own self-criticism (in part revealed through Burke's criticism of Jules Laforgue) as a literal statement of Burke's adolescence. Reading the early poems against George Meredith reveals a more complicated picture, of Burke as a self-chastising romantic. It should be no surprise that Burke eventually turned to drama as an ultimate metaphor for human relations. After all, it was in the actual stage drama that Molière was able to capture the comedy of manners which gave birth to Meredith's social ideal. While skipping over its patient elaboration (the observation and presentation of manners in his own age), Burke held to an internalized comic ideal, and so, in a way, doomed himself to eventually return to drama. What, then, of "warrantable outrage"? George Meredith makes no pleas for the goodness of human nature. He does not "forgive" or "tolerate" humanity, as some interpretations of Burke's comic criticism might urge us to do. No one, Meredith claims, will doubt that "it is unwholesome for men and women to see themselves as they are, if they are no better than they should be" (12). One does not need the extreme example of Adolf Hitler to perceive human ugliness, and no one, least of all the comic poet, will desire that we tolerate or forgive human weakness. The key to comic improvement, in Meredith's scheme, lies in what "should be." We should learn to detect the comic spirit in our own and others' lives; we should shrink from being the object of comic chastisement; we should seek to gain admission into that "higher fellowship" defined by a narrow circumference, where men and women, meeting and conversing on equal ground, exchange in witty banter and grow more like each other. The fact that such occasions are so rare may warrant outrage. But outrage, far from "transcending" comic tolerance, may in fact take our eyes away from the comic goal of a better society. Let us keep our attention fixed on that "higher fellowship," and its absence in so much of the world will be criticism enough. 1. See Carlson (1986, 1988); Kastely; Toker; Renegar and Dionisopoulos; and Renegar, Dionisopoulos, and Yunker. 2. Archival letters to Cowley suggest that Burke did not seriously take up the study of French until late 1915. The first French writers Burke mentions in the letters are Anatole France, with whom Burke "made a bad beginning," and Victor Cherbuliez, whose novel Burke had not yet read, on November 9, 1915. On November 29, 1915, he wrote, "Which is better- to talk Berlitz French fluently, to read French poetry naturally, or to be able to know what I mean by, say, the Eleatic school?" He felt himself on the verge of entering college for the first time, and anticipated what he would study and do. 3. A version of this poem, likely written earlier, appears in the archive typed and dated June 1, 1915, some four months before Burke sent it to Cowley in the form printed above. The earlier version contains "that" for "the" in Line 2; and the last word of Line 10 was "blush" instead of "bow." As Burke transcribed the poem in the letter to Cowley of October 5, 1915, he first wrote the word "blush" but crossed it out, and wrote the four lines printed above to conclude. The final five lines in the original corresponded with the earlier "blush" in Line 10: "At my own stupid blandishments I'd blush,– / And be the gentle cynic of success. / Then I could waste my talents, not just booze, / And never would I call my genius mush gush. / But yet by that what Russian pride I'd lose." Without his self-imposed ridicule, Burke would waste his talents in praising his own genius; furthermore, the earlier version suggests a Russian influence behind this "self-acquaintanceship." 4. In transcribing Burke's poetry, I have maintained the spelling and punctuation from his archival documents. In the poem "To a Sense of Humor," he only puts the one solitary set of quotation marks. Blakesley, David. "Introduction." Late Poems, 1968–1993: Attitudinizings Verse-wise, While Fending for One's Selph, and in a Style Somewhat Artificially Colloquial by Kenneth Burke. Edited by Julie Whitaker and David Blakesley, U of South Carolina P, pp. xvii–xxvii. Bloom, Harold. Wallace Stevens: The Poems of Our Climate. Cornell UP, 1980. Blum, W. C. "A Poetry of Perspectives." Review of Book of Moments by Kenneth Burke. Poetry, vol. 87, no. 6, March 1956, pp. 362–66. Burke, Kenneth. "The Armour of Jules Laforgue." Contact, vol. 3, 1921, pp. 9–10. —. "If I could view myself without a laugh." In Letter to Malcolm Cowley. 5 October 1915. Burke-3 P4 Box 1, Folder No. 20. Kenneth Burke Papers. Rare Books and Manuscripts, Special Collections. The Pennsylvania State University Libraries. —. Letter to Malcolm Cowley. 30 September 1915. Burke-3 P4 Box 1, Folder No. 20. Kenneth Burke Papers. Rare Books and Manuscripts, Special Collections. The Pennsylvania State University Libraries. —. Letter to Malcolm Cowley. 5 October 1915. Burke-3 P4 Box 1, Folder No. 20. Kenneth Burke Papers. Rare Books and Manuscripts, Special Collections. The Pennsylvania State University Libraries. —. Letter to Malcolm Cowley. 9 October 1915. Burke-3 P4 Box 1, Folder No. 20. Kenneth Burke Papers. Rare Books and Manuscripts, Special Collections. The Pennsylvania State University Libraries. —. Letter to Malcolm Cowley. 12 October 1915. Burke-3 P4 Box 1, Folder No. 20. Kenneth Burke Papers. Rare Books and Manuscripts, Special Collections. The Pennsylvania State University Libraries. —. Letter to Malcolm Cowley. 9 November 1915. Burke-3 P4 Box 1, Folder No. 20. Kenneth Burke Papers. Rare Books and Manuscripts, Special Collections. The Pennsylvania State University Libraries. —. Letter to Malcolm Cowley. 29 November 1915. Burke-3 P4 Box 1, Folder No. 20. Kenneth Burke Papers. Rare Books and Manuscripts, Special Collections. The Pennsylvania State University Libraries. —. Letter to Malcolm Cowley. N.d. [14 September 1917]. Burke-3 P4 Box 1, Folder No. 22. Kenneth Burke Papers. Rare Books and Manuscripts, Special Collections. The Pennsylvania State University Libraries. —. "The Metropolitan Light As Seen From The Jersey Shore." N.d. Burke-3 P0.6 Box 1, Folder No. 10. Kenneth Burke Papers. Rare Books and Manuscripts, Special Collections. The Pennsylvania State University Libraries. —. "Some would call music a prestidigitator." In Letter to Malcolm Cowley. 30 September 1915. Burke-3 P4 Box 1, Folder No. 20. Kenneth Burke Papers. Rare Books and Manuscripts, Special Collections. The Pennsylvania State University Libraries. —. "A Sonnet on Myself." 1 June 1915. Burke-3 P0.5 Box 1, Folder No. 4. Kenneth Burke Papers. Rare Books and Manuscripts, Special Collections. The Pennsylvania State University Libraries. —. "To a Sense of Humor." In Letter to Malcolm Cowley. 9 October 1915. Burke-3 P4 Box 1, Folder No. 20. Kenneth Burke Papers. Rare Books and Manuscripts, Special Collections. The Pennsylvania State University Libraries. Carlson, A. Cheree. "Gandhi and the Comic Frame: 'Ad Bellum Purificandum.'" Quarterly Journal of Speech, vol. 72, 1986, pp. 446–55. —. "Limitations on the Comic Frame: Some Witty American Women of the Nineteenth Century." Quarterly Journal of Speech, vol. 74, 1988, pp. 310–22. Ciardi, John. "The Critic in Love." Review of Book of Moments by Kenneth Burke. The Nation, vol. 181, 8 October 1955, pp. 307–08. Cowley, Malcolm. And I Worked at the Writer's Trade. Viking, 1978. —. Exile's Return. W. W. Norton, 1934. Crusius, Timothy W. "Kenneth Burke on His 'Morbid Selph': The Collected Poems as Comedy." CEA Critic, vol.43, 1981, pp. 18–32. Desilet, Gregory, and Edward C. Appel. "Choosing a Rhetoric of the Enemy: Kenneth Burke's Comic Frame, Warrantable Outrage, and the Problem of Scapegoating." Rhetoric Society Quarterly, vol. 41, no. 4, 2011, pp. 340–62. Frank, Armin Paul. Kenneth Burke. Twayne Publishers, Inc., 1969. Girard, Melissa. "Kenneth Burke and the Claims of a Rhetorical Poetry." Kenneth Burke & His Circles. Edited by Jack Selzer and Robert Wess, Parlor P, 2008, pp. 129–48. Kastely, James A. "Kenneth Burke's Comic Rejoinder to the Cult of Empire." College English, vol. 58, no. 3, March 1996, pp. 307–26. Lenhart, Gary. "A Poet's Distrust of Poetry." Review of Late Poems, 196–1993: Attitudinizings Verse-wise, While Fending for One's Selph, and in a Style Somewhat Artificially Colloquial by Kenneth Burke. American Book Review, vol. 27, no. 4, May/June 2006, pp. 22–23. Madsen, Arnie J. "The Comic Frame as a Corrective to Bureaucratization: A Dramatistic Perspective on Argumentation." Argumentation & Advocacy, vol. 29, no. 4, Spring 1993, pp. 164–78. Meredith, George. An Essay on Comedy and the Uses of the Comic Spirit. Charles Scribner's Sons, 1915. Meyer, Gerard Previn. "The Enemy of Bureaucracy." Review of Book of Moments by Kenneth Burke. The Saturday Review, vol. 38, 3 September 1955, pp. 28–29. Moore, Marianne. "A Grammarian of Motives." A Marianne Moore Reader, Viking P, 1961, pp. 233–37. Renegar, Valerie R., and George N. Dionisopoulos. "The Dream of a Cyberpunk Future? Entelechy, Dialectical Tension, and the Comic Corrective in William Gibson's Neuromancer." Southern Communication Journal, vol. 76, no. 4, September–October 2011, pp. 323–41. Renegar, Valerie R., George N. Dionisopoulos, and Matthew Yunker. "Up in the Air with a Burkean Clown: The Comic Frame of Acceptance in Uncertain Times." Western Journal of Communication, vol. 80, no. 2, March–April 2016, pp. 185–203. Rueckert, William H. Encounters with Kenneth Burke. U of Illinois P, 1994. Selzer, Jack. Kenneth Burke in Greenwich Village: Conversing with the Moderns 1915–1931. U of Wisconsin P, 1996. Simons, Herbert W. "Burke's Comic Frame and the Problem of Warrantable Outrage." KB Journal, vol. 6, no. 1, 2009, n.p. Symons, Arthur. The Symbolist Movement in Literature. Archibald Constable & Co. Ltd., 1908. Toker, Caitlin Wills. "Debating 'What Ought to Be': The Comic Frame and Public Moral Argument." Western Journal of Communication, vol. 66, no. 1, Winter 2002, pp. 53–83. Warren, Austin. "Kenneth Burke: His Mind and Art." Sewanee Review, vol. 41, 1933, pp. 225–36, 344-64. Winters, Yvor. In Defense of Reason. Swallow & William Morrow and Co., 1947.